One evening at dusk I watched as thousands of Monarch butterflies streamed across Massachusetts Bay and flew into nearby trees for shelter from the chill of a late summer evening. At dawn the following morning I returned to the trees with my camera and waited for several hours for the Monarchs to awaken. Luminous light and wingbeats, blossoms and butterflies—set to the stage of sea and sun and wind—I wanted more than anything to share what I was witnessing. Experiencing that wonderment during the summer of the extraordinary migration fueled myriad questions. Where did the butterflies come from and why in such great numbers? Would they find nectar to fortify their long journey? Did this happen every year? Why this particular tree over another? How long would they stay? Why were not more people from my community there to see this magnificent event unfolding in our own backyard? My passion for creating this film grew from my interest in documenting the beauty found, and yet to be discovered, in the connection between wild creatures and their habitats. Children are especially at risk of losing engagement with the natural world. Recently, while working on a butterfly garden project with a group of children, we were joined by a second bunch of kids. The first group were interacting with the caterpillars that had newly emerged from eggs that had been deposited on the food plants by the female butterflies. Imagine how dismaying it was when the unknowing newly arrived group of children asked from what “kit” were the caterpillars purchased. I have spent four summers filming the life story of the Monarch Butterfly in backyards and along the shores of Cape Ann. My original intent was to tell the story of the butterflies primarily as it relates to their northern breeding grounds. While editing the film during the winter of 2014, reports of record low numbers of butterflies from the Michoacán sanctuaries shocked the world. I determined that capturing the butterfly’s unfolding story in their winter sleeping grounds as they are awakening in Mexico to begin their northward migration would add to the film’s beauty and depth and greatly increase the film’s relevance. In February 2015 I traveled with Tom Emmel, Ph.D, the Director of the McGuire Center for Lepidoptera and Biodiversity, which is part of the University of Florida’s Museum of Natural History. Doctor Emmel is a butterfly population specialist and an expert in counting monarchs. This was his fortieth trip Angangueo to study the butterflies, having been one of the earliest scientists to reach the mountainsides after they were first discovered in 1975. See my interview with Doctor Emmel filmed on location at the Sierra Chincua Monarch Butterfly Sanctuary. The monarch’s life story is one of nature’s most incredible examples of adaptation and survival. There are no other butterflies in the world that journey thousands of miles over such a great and vast area, ecologically linking Canada and Mexico, to nearly every region within the United States. My hope for Beauty on the Wing is that all who view it will gain a deeper understanding of the interconnected world we share with wildflowers and wildlife and, that by understanding the species that are in our midst, gain a greater love and respect for our environment. The Monarch butterfly is part of the extraordinary South, Central, and North American great migration of birds, butterflies, and wild creatures, always in search of plentiful food on which to rear the next generation. Within this expansive north south corridor there is a world of beauty to discover in the wondrous scheme of survival in migration. Butterflies have long been a symbol of transformation and their beauty has inspired poets and artists universally across time and cultures. The ephemeral grace of the butterfly not only inspires hope but also gives us courage to be active in the search for solutions. The all-too-fragile link of the butterfly to the health of the environment embodies the urgent need for positive change. Celebrating our wild places and wildlife is not only a place where we can all meet, a lens is focused on what we can become. Beauty on the Wing ~ Life Story of the Monarch Butterfly will premiere in 2018. Each year in late summer as the arcing angle of sunlight light descends lower in the sky and the winds shift from the west to the east, the wondrous southward migration of the monarch butterfly takes place in communities throughout North America. By the millions and millions, the intrepid monarchs journey thousands of miles to the beautiful oyamel fir forests located in the heart of Mexico’s volcanic mountains. 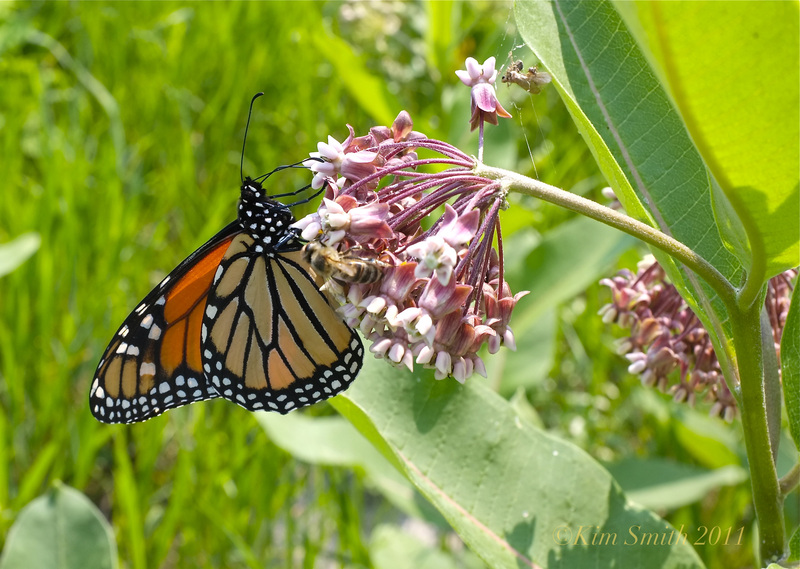 The most magical thing is that this migration happens in our midst, unfolding in back yards, farms, meadows, fields, and along the shoreline, wherever milkweed and wildflowers grow. As are most regions along the length of the eastern seaboard, Cape Ann lies within a largely unrestricted north-south corridor for migratory species of birds and butterflies. This means that that birds, butterflies, and other insects travel along the Atlantic flyway without being impeded by either mountain ranges or very large bodies of water to cross, which would slow or prevent their movement. There is a tremendous sense of urgency in this great movement of life. Whether traveling by land or by sea, wildlife must reach their seasonal destination while life-sustaining food is abundant. How exciting! I had filmed them in Magnolia in 2013, but I did not see them in 2013. There were barely any this past season in 2013 Ellen–2012 was much better!